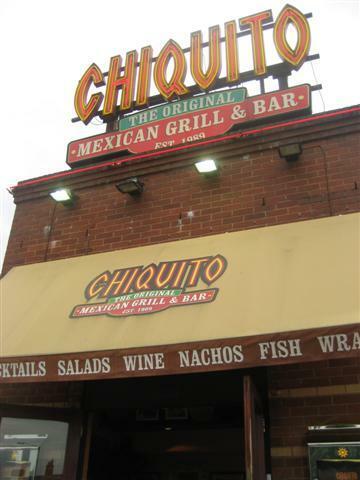 This Chiquto was quite a big Mexican restaurant and it sure did not feel like it lacked on space. It felt a little dark though as it was quite dimly lit even though it was the daytime. 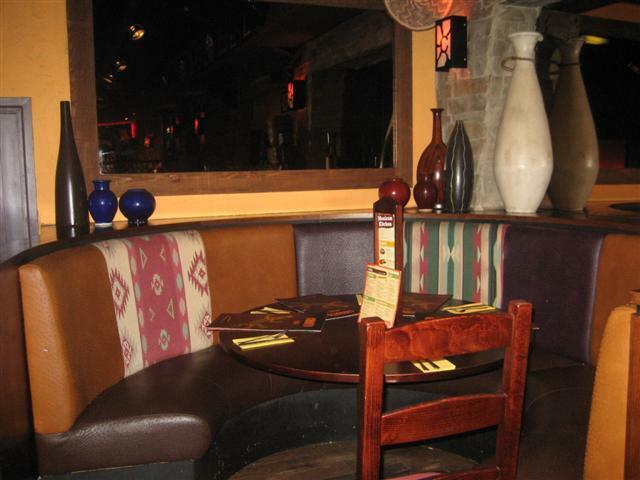 While we were deciding on what to order, we were served with some tortilla chips and a salsa type dip! It was nice to munch on these as we went through the many items on the menu. We started off with a few starters as we were fairly hungry. The garlic flatbread tostades were a lot like quesadillas. They were filled with spicy chicken and topped with some cheese. The flatbread tostades were a little greasy but that may have been due to the cheese and the garlic base. The calamari was a fairly small portion. They were cooked well and we enjoyed them with the chipotle mayonnaise. 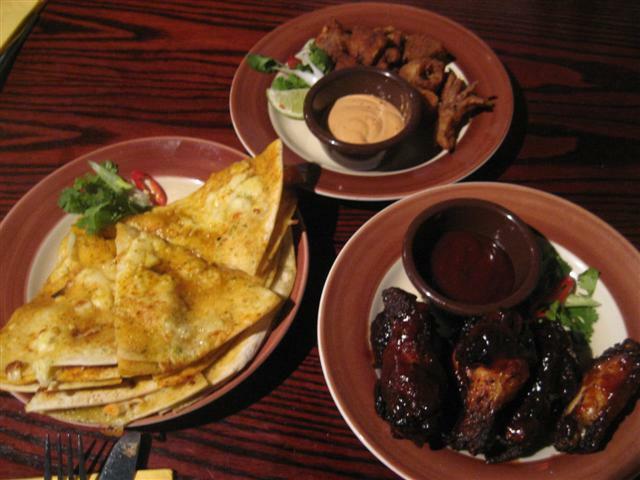 The last of our starters were the classic sticky barbeque chicken wings. These did not disappoint and were thoroughly enjoyed by all. Surprisingly, after the starters, we did have some room for the main dishes. The spicy chicken burrito was a really big and filling dish. 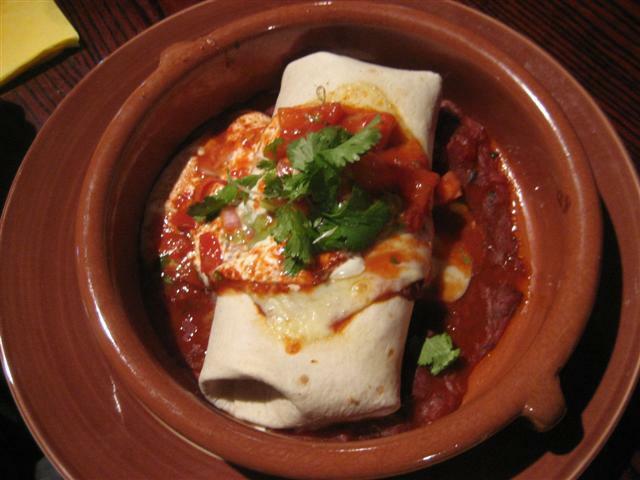 It was generously filled with the chicken, spiced rice, refried beans, chilli con queso and cheese. All the flavours went well together and it was good that it had additional toppings of guacamole, salsa, sour cream and tomato sauce. 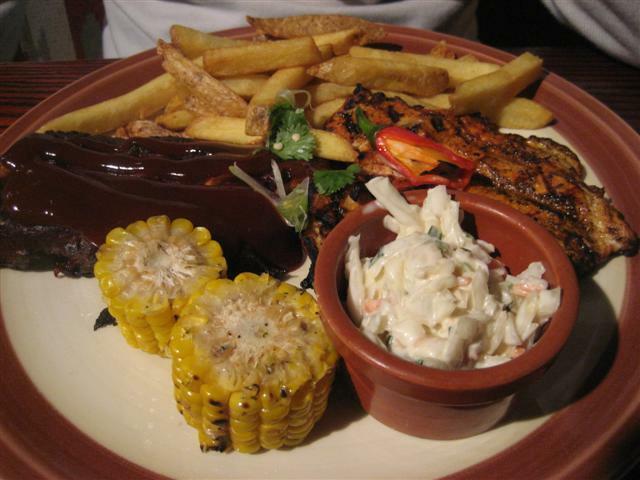 If you’re wanting something quite meaty, then the chicken and ribs is a good option. The chicken was grilled and tender and the ribs were glazed with a smokey barbeque sauce. It was a complete meal as it came with chunky fries, coleslaw and corn on the cob. I decided to have a couple of side dishes. The Mexican spiced rice was a big portion and to accompany it, I had the refried beans. I was expecting the refried beans to be fairly mushy but it was nice that they were a mixture of mushed up beans and whole ones. Chiquito has quite a lot of non alcoholic cocktails and other drinks too. The virgin pina colada was perfect with its rich coconut milk combined with the pineapple juice. 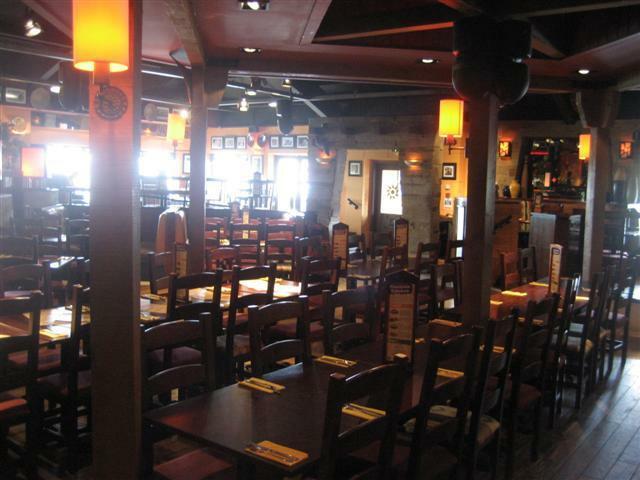 The staff were fairly helpful and efficient. They did not rush us but asked us throughout the meal if everything was ok. We got service with a smile. A cute thing to note is the gecko just inside the entrance of Chiquito. It has a little sign by it to say to rub its head for good luck. So, if you feel the need for some good luck, don’t forget to pay the gecko a bit of attention.